The most wonderful time of the year, operawise. Hi, just a reminder that you're receiving this email because you have expressed an interest in Opera Guild of Rochester. Don't forget to add operaguildofrochester@gmail.com to your address book so we'll be sure to land in your inbox! Enjoy meeting others in Rochester's opera community and contributing to the availability of opera activities by volunteering for the Opera Guild! Currently there are three jobs posted: Event Host or Hostess, Mail & Database Assistant, and Assistant Publisher. Click on links for the job descriptions. Let us know of your interest by contacting Carol Crocca, Director of Development, at operaguildofrochester@gmail.com. Our Website serves as a clearinghouse for local and regional opera, concert, and recital information, with links to other music organizations in our area. Please visit us at operaguildofrochester.org. On each of four Sunday afternoons in January the Opera Guild presents an opera on DVD on the big screen, with an introduction by a Guild speaker. Refreshments are served at the intermission. The public is invited. If you received a flyer, registration is appreciated. A donation of $9 per person is requested. The glamour of Imperial Vienna is captured in this 1971 film with René Kollo leading the cast. This 1973 film presents Teresa Stratas as the Russian dancer with whom the Tsar falls in love. Covent Garden production starring Natalie Dessay, Juan Diego Florez and Alessandro Corbelli; Bruno Campanella conducts. Met Opera production recorded from TV in 1996 starring Carol Vaness, Jerry Hadley, Suzanne Mentzer, Dwayne Croft, Cecilia Bartoli and Thomas Allen; conducted by James Levine. For notes on the programs, click here. Stefan Reuss, internationally recognized cellist, Principal Cellist of the Rochester Philharmonic Orchestra. Mikhail Kopelman, violin; for bio, esm.rochester.edu/faculty. Watch for additional information closer to the events. Each academic year the Friends of Eastman Opera sponsor an aria competition adjudicated by an outside guest from the opera world for Eastman students who are seniors or graduate students. Finalists will prepare three arias featuring at least two languages. For general information, Click Here. The Rochester Oratorical Society presents the finalists in its annual international competition for young artists on the rise. For more information, Click Here. The Kurt Weill Foundation for Music sponsors this international competition for versatile singers aged 19-32 who must perform opera/operetta, both older and contemporary Broadway selections, and the music of Kurt Weill. For more general information about the competition, Click Here. Out of Darkness Click here for more information about these operas. Dmitri Hvorostovsky and Anita Rachvelishvili. Antonio Pappano conducts Jonas Kaufmann in his title role debut. The legendary Plácido Domingo brings another new baritone role to the Met under the baton of his longtime collaborator James Levine. Liudmyla Monastyrska is Abigaille, the warrior woman determined to rule empires, and Jamie Barton is the heroic Fenena. Dmitri Belosselskiy is the stentorian voice of the oppressed Hebrew people. When Diana Damrau and Vittorio Grigolo starred opposite each other in Manon at the Met in 2015, the New York Times said, "the temperature rises nearly to boiling every time Damrau and Grigolo are on stage together." Now they're back as opera's classic lovers, in Gounod's lush Shakespeare adaptation. The production, by director Bartlett Sher, has already won acclaim for its vivid 18th-century milieu and stunning costumes during runs at Salzburg and La Scala. Gianandrea Noseda conducts the sumptuous score. Kristine Opolais stars in the role that helped launch her international career, the mythical Rusalka, who sings the haunting "Song to the Moon." Mary Zimmerman brings her wondrous theatrical imagination to Dvorák's fairy tale of love and longing, rejection and redemption. Brandon Jovanovich, Jamie Barton, Katarina Dalayman, and Eric Owens complete the all-star cast, and Mark Elder conducts. Sonya Yoncheva sings one of opera's most beloved heroines, the tragic courtesan Violetta, a role in which she triumphed on the Met stage in 2015, opposite Michael Fabiano as her lover, Alfredo, and Thomas Hampson as his father, Germont. Nicola Luisotti conducts. Mozart's first operatic masterpiece returns to the Met in the classic Jean-Pierre Ponnelle production, conducted by Music Director James Levine. The superb ensemble includes Matthew Polenzani as the king torn by a rash vow; mezzo-soprano Alice Coote in the trouser role of his noble son Idamante; soprano Nadine Sierra as Ilia; and soprano Elza van den Heever as the volatile Elettra, who loves Idamante to the bounds of madness. The dream cast of Renée Fleming as the Marschallin and Elīna Garanča as Octavian star in Strauss's grandest opera. In his new production, Robert Carsen, the director behind the Met's recent Falstaff, places the action at the end of the Habsburg Empire, underscoring the opera's subtext of class and conflict against a rich backdrop of gilt and red damask, in a staging that also stars Günther Groissböck as Baron Ochs. Sebastian Weigle conducts the sparklingly perfect score. Tinseltown in Gates has converted to reserved lounge seating and there will be fewer seats available. Tickets may now be purchased and seats reserved on-line at cinemark.com. The box office phone is (585) 247-0042. 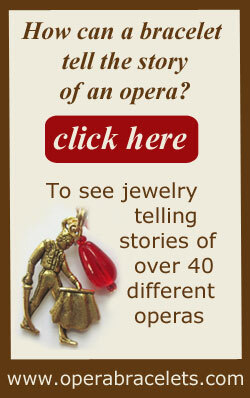 When on-line, search for the opera by name if there is no picture or listing. Sung in Italian with projected subtitles. Its tragic story revolves around the licentious Duke of Mantua, his hunch-backed court jester Rigoletto and Rigoletto's beautiful daughter Gilda. Sung in Russian with projected subtitles. The story concerns a selfish hero who lives to regret his blasé rejection of a young woman's love and his careless incitement of a fatal duel with his best friend. Penfield Symphony Orchestra "Operatic Gems"
The soprano soloist is Keely Futterer, doctoral student at Eastman School of Music, where she studies with Katherine Cowdrick. Among many other recognitions, she received the Encouragement Award at the Met National Council auditions. FYI, there will be an Opera Guild of Rochester tour to Tchaikovsky's Eugene Onegin on Sunday, April 9, 2017, by the Syracuse Opera. Details to follow closer to the event. For a flyer and registration materials click here. 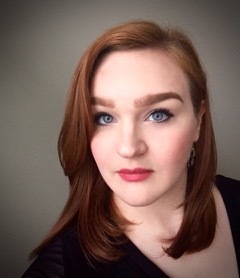 Our recitalist this year will be Paige Kiefner, a recent graduate of Eastman School of Music. She has appeared as Emily Webb in Ned Rorem's Our Town and in Dialogues of the Carmelites, She Loves Me, and Street Scene. Paige starred as Maria in Roberts Wesleyan's production of West Side Story. Her credits also include Rochester Lyric Opera's production of The Tales of Custard the Dragon and Little Red's Most Unusual Day. She is a section leader in the Third Presbyterian Chancel Choir under the direction of Peter Dubois as soprano soloist. Paige is from Cape Girardeau, MO. The program, "Well-Behaved Women Rarely Make History," will include selections by Verdi, Puccini, Mozart, and Donizetti, as well as some more modern repertoire from Broadway musicals. Ms. Kiefner will be accompanied by Jacob Stebly. He studied Vocal and Opera Performance at the Eastman School of Music. Since then he has held positions at Syracuse University as a Music Director and Pianist for their Musical Theater Program, as well as assistant to the Rare Books Department at the Sibley Music Library. 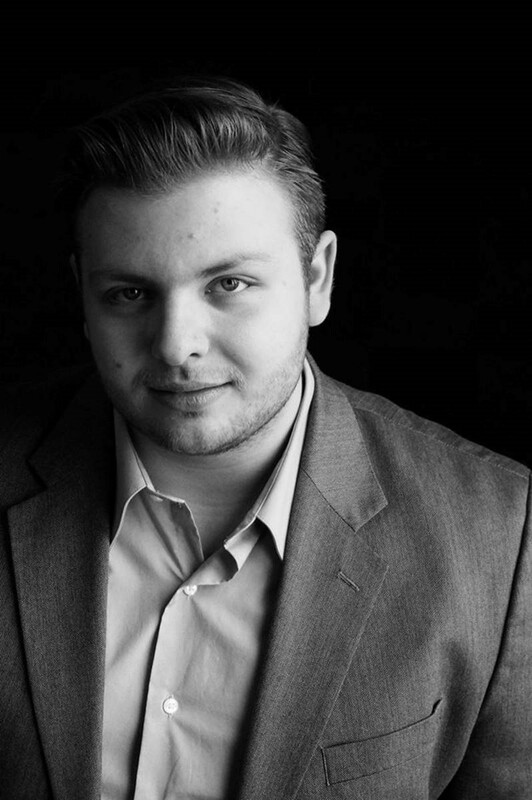 He has recently appeared in You're Gonna Love Tomorrow with the Rochester Lyric Opera and was music director for A Little Night Music with Syracuse University. As an Amici, your contribution in any amount is greatly appreciated. Comprimario: $100-$149, 4 passes to Beat the Blahs or two additional recital invitations. Primo: $150-$199, 5% discount on all trips (except to New York City). Maestro: $200 or more, 10% discount on trips (except to New York City). Of course your donation in any amount is greatly appreciated. You may also mail a check to, Opera Guild of Rochester, P.O. Box 92245, Rochester, NY 14692-0245. Please include an email or other address for your tax receipt. This section brings you articles written by anyone involved in opera, from impresarios to singers to fans. If you have seen a performance that you want to review, or have attended a class or workshop that you want to write about, or have a story or a review that would interest others, we encourage you to submit it to us and we will schedule it for inclusion. Please send your submissions to operaguildofrochester@gmail.com. We generally limit articles to 500 words. All submissions are subject to editorial review. The German playwrights Friedrich von Schiller and Johann Wolfgang von Goethe are the pillars of the German classical period of literature. Verdi loved both Schiller and Shakespeare. The Italian scholar Andrea Maffei translated both of them and they became Verdi's favorite authors, whose works he kept at his bedside. Schiller's aesthetic and philosophical beliefs are reflected in this opera. He sees the human being as divided between the senses (the focus of nature) and the moral spirit. In the beauty that art (Kunst) gives man (Mensch) both worlds come together and the harmony of true freedom arises. This is an extension of Kant's philosophy. Schiller also sought to meld the style of the antique poets with the style of Shakespeare, the philosophy of which had been explored by the German classical poet Kleist. Verdi's Don Carlo, the last of the four Verdi operas based on Schiller's plays, was written for the Paris Opera in 1867. The original French presentation was followed by the Italian translation of Achille de Lauzieres and Angelo Zanandieri, which premiered at La Scala in 1864. Over the next 17 years Verdi made many revisions, resulting in many different versions of the opera. Modern productions can choose, cut or substitute musical parts, depending on the director's interpretation and the length preferred. The original play by Schiller was written in 1788, just before the French Revolution. In the character of Rodrigo, Marchise of Posa, Schiller set a poetic monument to his own emerging view of an ideal world in which mankind can live with freedom of thought, governed by just leaders. Schiller's play has a large political and philosophical scope with many sub-plots, depicting the oppressiveness of the Spanish government, and the even greater fear of the bloody Inquisition of the Catholic Church (represented by the Grand Inquisitor), before which even kings gave way. Only a fraction of the great philosophical drama could be taken into the libretto and music of the opera, and even so, the length of the opera has always been a problem. However, by 1867 Verdi was experienced in writing for the Paris Opera and he was now a mature orchestrator. Much of the musical expression in Don Carlo foreshadows the late works, particularly Verdi's masterpiece, Othello. On February 27, 2017, the first lecture at the Brighton Memorial Library, Rosalba Pisaturo will present the Italian version of the opera produced by the Metropolitan Opera with Placido Domingo as Don Carlo. We hope your holiday season is going well. The Guild has suffered two setbacks. First, Art Axelrod, one of our mainstays as docent and technical guru, had a fall on the ice, fracturing his ankle and breaking the smaller bone in his arm. After surgery, he is now in rehabilitation at the Jewish Home and says his physical therapy (ouch!) is progressing well. His incapacity was not a good time for our computer, which resides in the home of President Agneta Borgstedt, to be attacked by ransomware. Fortunately, the attack was not a very sophisticated one, and it now appears, after much hand-wringing and gnashing of teeth, that our important documents will be recovered. Although Art will not be very mobile for several weeks, we have regrouped and will proceed with "Beat the Blahs" and other scheduled activities. It's worth it to work your way through some cold and slush to enjoy those beautiful traditional productions on the large screen. Hope to see you there. Happy New Year! Please consider the Opera Guild of Rochester among your charitable organizations for 2017. Donations to the Opera Guild of Rochester are fully tax deductible and donors will receive an invitation to the Annual Recital in May 2017, which is our gift to our donors, followed by dessert reception with the artists. Enjoy our free Lecture/Listening series, which you can download from the Website at operaguildofrochester.org by clicking on Reading Room. While at our Website you can also learn about our opera program at Temple B'rith Kodesh, our opera trips to regional opera companies including the Glimmerglass Festival, and our Metropolitan Opera trips.